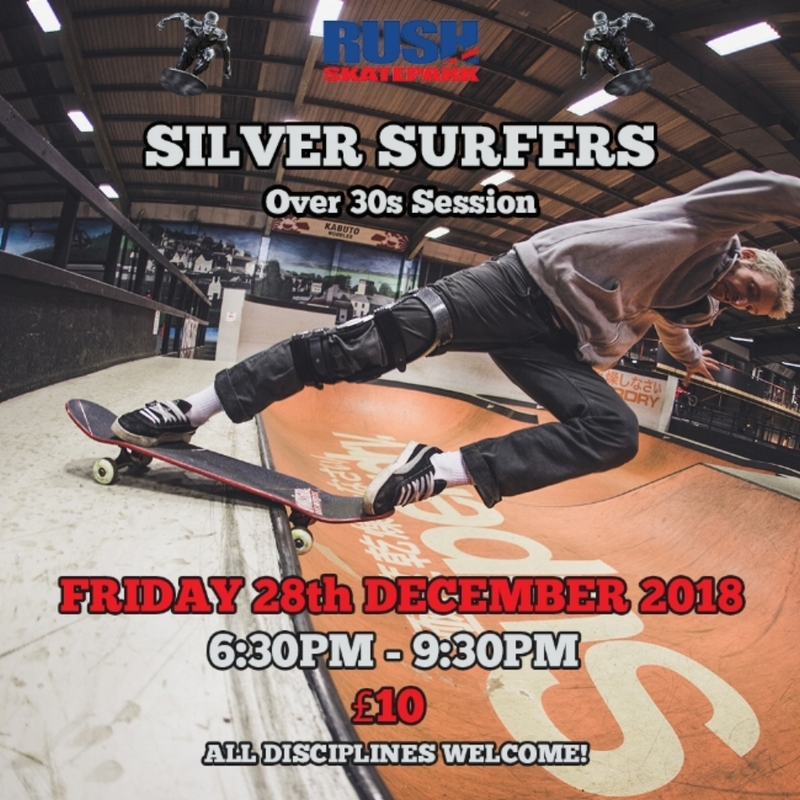 December’s Sliver Surfers will be on Friday 28th! This is our monthly session for riders 30+ and is perfect for those just picking up an action sport or the veteran rider/skater! The session will run from 6:30pm - 9:30pm and costs £10, see you there!